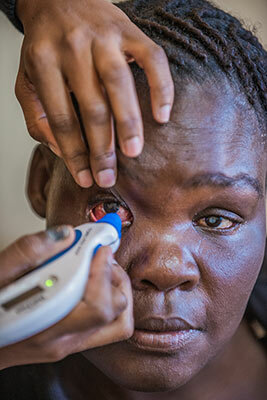 The hospital in Macha, a village in Southern Province in Zambia, has a small eye department. The staff there work very hard to help eye patients like Dezila, but it is not enough. 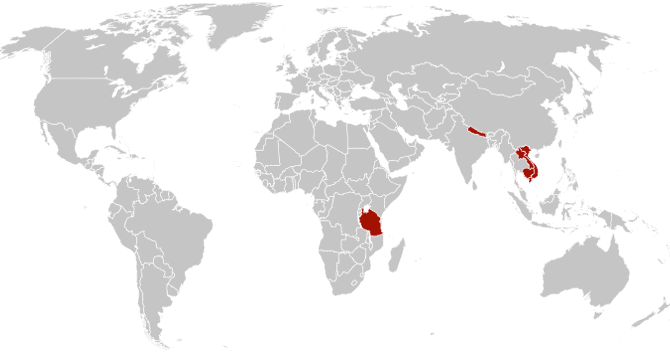 The province counts two million inhabitants. There are approximately 23,000 people who are blind due to cataracts and currently only two ophthalmologists capable of performing cataract surgeries. I do not need to tell you that this is not nearly enough. Since early 2017, the Eye Care Foundation has been active in Zambia to improve eye care. 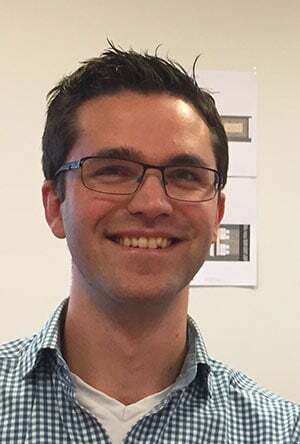 As a Dutch ophthalmologist I am here with my wife, who is an optometrist, to help the ophthalmic team and train eye care professionals. Our efforts are already yielding results. Previously, treatment was limited to eye infections and allergic reactions. Now patients can also come here for cataract surgery, thanks to contributions from donors. The eye team also makes frequent trips to remote villages to treat eye patients on location as much as possible. Patients in need of cataract surgery are referred to the hospital in Macha. Cataract surgery is the most needed procedure in Zambia right now. Life for people with advanced cataracts is hard and lonely and their blindness affects the whole family. Dezila was unable to look after her family. She has a young daughter and would love to have another child. 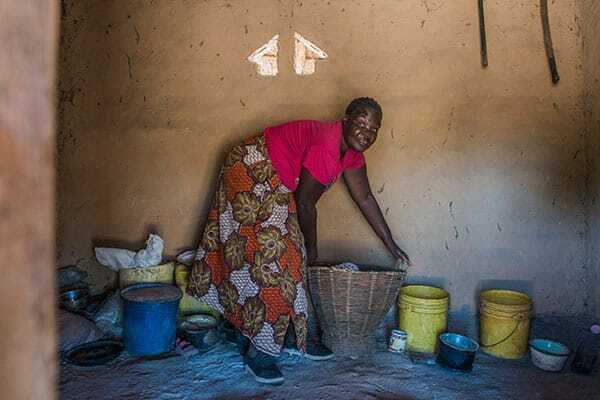 She was no longer able to work their small plot of land where they grow maize. Everything fell to her husband Charles. But he also had to catch and sell fish every day.When the eye team arrived in Dezila`s remote village, they saw how the family lives. They have a small hut. There is a small room where they sleep and a living room of sorts that contains a few buckets, baskets and pans and nothing else. It was immediately obvious that Dezila had cataracts in both eyes. 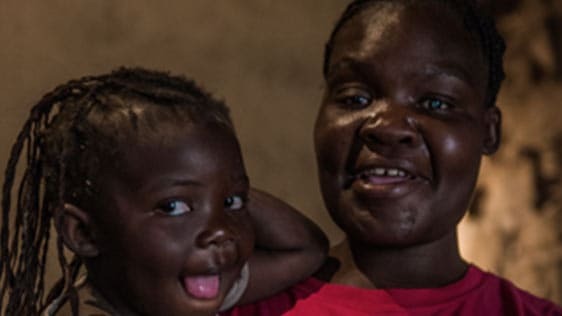 When she was told that she could have surgery on both eyes and regain her sight, she barely reacted. Luckily her husband encouraged her to have the surgery. 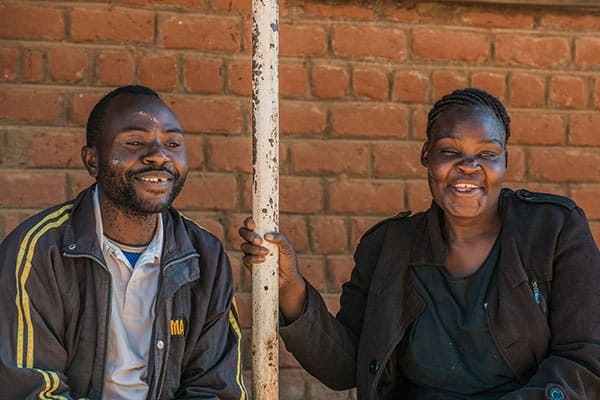 There was enough space in the SUV, so Dezila and her husband could accompany the eye team back to the clinic straight away. It was a two-and-a-half-hour drive and most of it was on a bumpy, sandy road. But it was worth it! Dezila`s surgery went as well as expected. It is amazing and beautiful to see what happens when someone regains their sight. I am very grateful to have the opportunity to help people like Dezila. You too have the chance to help. With a donation of 65 euros you will contribute to the training of local eye care professionals, so that the team can grow and help more people with treatments and surgery. I therefore hope that you can help with a donation. Any amount is very welcome.. Thank you for considering my call for help. p.s. When we were about to leave, Dezila`s husband walked up with eight other villagers. All of them were either visually impaired or blind. With your donation we will be able to help them too and do the same for people in other villages.